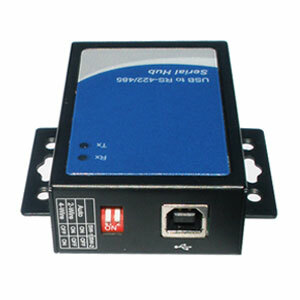 Industrial grade panel-mount USB to RS485 / RS422 converter. With its metal housing and panel mounting holes this converter is ideal for factory environments and most other industrial and commercial installations. 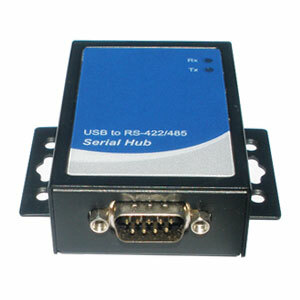 This USB to RS485 / RS422 converter is powered through the included USB cable so no external power supply is required. 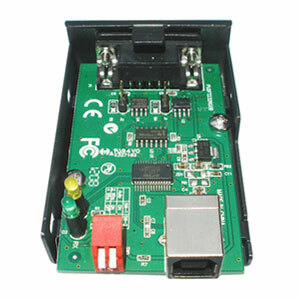 With DIP switched the user can select between 2-wire RS485 or 4-wire RS422; or the converter can simply be set to auto-detect which signal is connected to the interface. 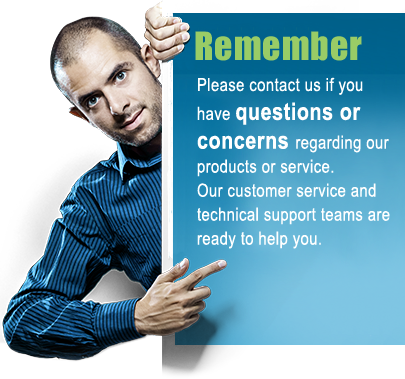 LED lights for TX and RX makes it easy to determine when data is present which is a great help when troubleshooting. After installing the included drivers a virtual COM port automatically shows up in your computer's Device Manager which can be used as if it was a standard built-in COM port. 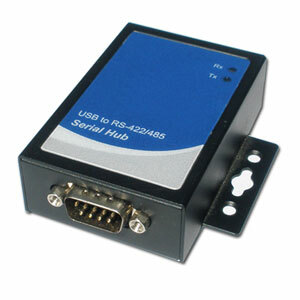 This USB to RS485 converter is designed around the high performance industry proven FT232RL processor from FTDI which ensures optimum reliability and performance.